The convex hull of a geometry represents the minimum convex geometry that encloses all geometries within the set. One can think of the convex hull as the geometry you get by wrapping an elastic band around a set of geometries. This is different from a concave hull which is analogous to shrink-wrapping your geometries. It is usually used with MULTI and Geometry Collections. 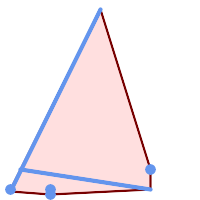 Although it is not an aggregate - you can use it in conjunction with ST_Collect to get the convex hull of a set of points. ST_ConvexHull(ST_Collect(somepointfield)). It is often used to determine an affected area based on a set of point observations.